A rare Telugu book that is much loved but largely forgotten is now coming back to life, thanks to Pawan Kalyan. The book in question is ‘Adhunika Mahabharatam’, by Guntur Seshendra Sharma. The book was chanced upon by Trivikram at a second hand book store a few years ago. Trivikram picked up the book and was delighted by it. It then made its way to Pawan Kalyan, who totally loved it. He enquired about the availability of the book and was told that it was out of print. Pawan Kalyan met with the author’s son, gave him financial assistance and ensured that a new print run of 25000 copies is getting ready. 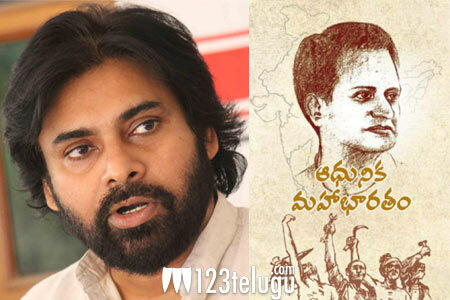 This rare book can now be sampled by the common man thanks to the initiative of the Power Star.